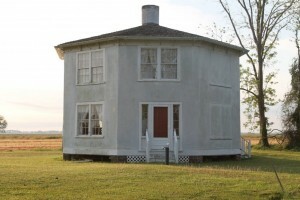 The Octagon House sometimes called “the inkwell” stands as an Acheter Viagra Cheque testament to its forward thinking builder. Legend has it that the Octagon House was built to replace one that was lost during a hurricane; the owner wanted no corners for the wind to howl around. The house was built in 1857 and is one of two such houses in North Carolina. The unusual shape of the house may have reflected an Acheter Viagra Cheque 1850s fad detailed in the book The Octagon House – A Home For All.